Do you worry about the future of California? Then you should worry about Salinas. Because if this Monterey County town of 155,000 can’t build itself a brighter future, it’s hard to imagine other struggling places doing the same. “Rich in Land. Rich in Values. Ripe With Opportunity,” reads the slogan on a city website, and that’s no exaggeration. 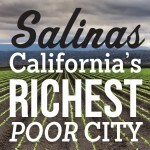 Salinas might be the richest poor city in California. So many poor California cities sit well inland, but Salinas is just eight miles from the Pacific. It might have the best weather in the state. It’s part of the prosperous Monterey Bay region, and close enough to Silicon Valley that rising apartment rents have become a problem (a two-bedroom costs more in Salinas than it does in Seattle or Miami). And while many poor California places are rapidly aging, Salinas has the advantage of youth—its average age is less than 30. It’s known as the Salad Bowl of the World, a center for producing healthy foods—leafy greens and berries—at a time when such foods have never been more popular. Jobs in the region’s $7 billion agriculture and tourism economies are so plentiful that employers have been complaining of labor shortages. It has a rich culture—from the dynamic Alisal neighborhood to an old downtown where a new headquarters for Taylor Farms is going up—and higher education, including an excellent community college and the newest California State University campus a 10-minute drive away. Salinas also has a healthy amount of civic engagement. Ask its residents where they’re from, and they’ll answer you with the name of their neighborhood—and a colorful description of it. But ask people in Salinas why the city ranks so miserably low in so many measures—crime, schools, public health—and you’ll likely get puzzled looks. By the numbers, Salinas borders on the nightmarish. Its homicide rate remains stubbornly high—nearly four times higher than the national average and more than twice as high as Los Angeles’; the year 2015 began with 10 shootings, including four deaths, in an 11-day period. Salinas and its neighboring communities in Monterey County have the highest rates of child poverty in the state. And Salinas lags significantly behind the state average in test scores, in its high school graduation rate, and the percentage of residents with bachelor’s degrees. Nearly 40 percent of Salinas residents have no high school diploma; the percentage statewide is 19 percent. Salinas also has persistently higher unemployment than the state (8 percent vs. 6.3 percent currently) and a homeownership rate of less than 43 percent (compared to 55 percent statewide). In a bitter irony for a capital of healthy food, its obesity rates, especially among children, are well above the state average. And basic services can be hard to find. The federal government says Salinas is medically underserved—with not enough primary care doctors or dentists or mental health providers. And if you want to unwind or exercise in the fresh air, good luck. The city has one of the lowest ratios of parkland per resident in California, less than half the amount of L.A. or San Francisco (and eight times less than San Jose). As a columnist traveling around California, this mismatch between its horrible statistics and its obvious strengths makes Salinas one of the most frustrating cities in California. And easily the most confounding. Why does Salinas add up to so much less than the sum of its parts? Two of its handicaps are fundamental: it’s a small city and it’s in California. Salinas is one of 60 small cities in this state of between 100,000 and 300,000 people, too many of which are dysfunctional; Salinas’ municipal sisters include bankrupt Stockton and San Bernardino. The problems for Salinas-sized cities is that many started as smaller towns and grew to where they have all the problems of any urban place, while retaining the weak local governments and public resources of small towns. California’s governing system—which famously limits the power and discretion of local officials—imposes heavy regulations on local communities while giving city governments precious little power to shape their own destinies. Salinas, to its credit, has more than its share of people who have tried to transform the community anyway. Many of its leading citizens were part of the 1970s farmworker movement—or are the children of those who were—and there is almost no constituency for the status quo in Salinas. People there know the city needs to change. But, perversely, the ambitions of Salinas have served mainly to create more frustration. People in Salinas are very good at starting things—launching new campaigns or programs, building new things. But finding the public resources to maintain them has been harder. Driving around town, you can see how Salinas is littered with public institutions it couldn’t quite sustain. A golf course that had to be taken over by First Tee. A public swimming pool that had to be taken over by a private aquatic club. (It’s still open to the public, but at limited hours and for a fee). A performing arts center that is now occupied by a charter school. At police headquarters, a cop tells me how the gang unit is being disbanded so that the understaffed department can have enough people on patrol. And then, right in the center of the city sits the National Steinbeck Center, a monument to its native son, the Nobel Laureate John Steinbeck. It failed to meet very high projections for drawing tourists, and faltered. After a years-long ordeal that involved debt and foreclosure and fighting, it’s about to be rescued by California State University Monterey Bay. Salinas can count some victories. After its libraries nearly ran out of money in 2005, local fundraising and a vote for a sales tax increase rescued the libraries. Friends of the libraries, incidentally, have come up with one of the best ideas I’ve seen anywhere in California —mobile paleteros, or ice cream carts that move around the city dispensing books and library cards, and providing mobile Wi-Fi hot spots. More recently, Acosta Plaza, originally an owner-occupied housing development which fell on hard times, is being revived by a coalition of housing developers, young people, and community organizations. Of course, Salinas has problems that are peculiar to it. While residents like to tout the size and wealth of the city’s agriculture industry, the hard truth is that for most, agriculture is an industry that doesn’t pay all that well, which is why agriculturally-oriented cities are typically poor and too often plantation-like in their social structure. And while Salinas boasts remarkable diversity, it’s also been marked by segregation and racism. Monterey County was one of three California counties that, until very recently, had to get federal approval for changes in its election rules because of its history of voting discrimination against Latinos and Asians. 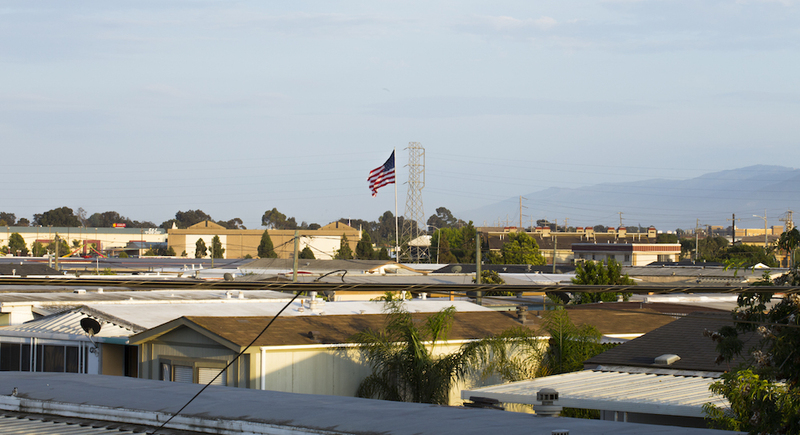 And inside Salinas, the divide between a poorer and overwhelming Latino east side and the rest of the city is profound, and dates back across decades of racial and ethnic discrimination. 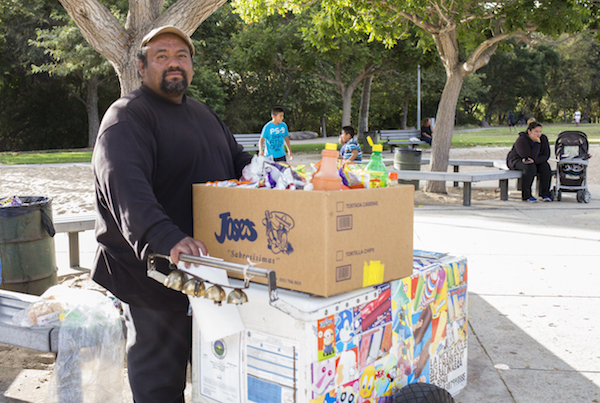 In this age of inequality, Salinas’s prosperous surroundings do it no favors. The economic successes of Monterey and the Bay Area can make the climb Salinas faces seem steeper than it really is. It also makes people in Salinas feel isolated. Steinbeck wrote that the fog turned Salinas into “a closed pot” cut off “from the sky and from all the rest of the world,” a line that still gets quoted by residents even though their city is a California crossroads. It’s right on the 101, linking the coast and the agricultural inland, north and south. Even if you’ve never stopped to visit, you’ve almost certainly driven through. Salinas is an All-America City, too. That’s not an opinion—it’s an official designation, issued just last month, by the National Civic League. And, suitably, it’s a double-edged award. It recognizes all the efforts in Salinas to address community problems—of which there is an all-American abundance.